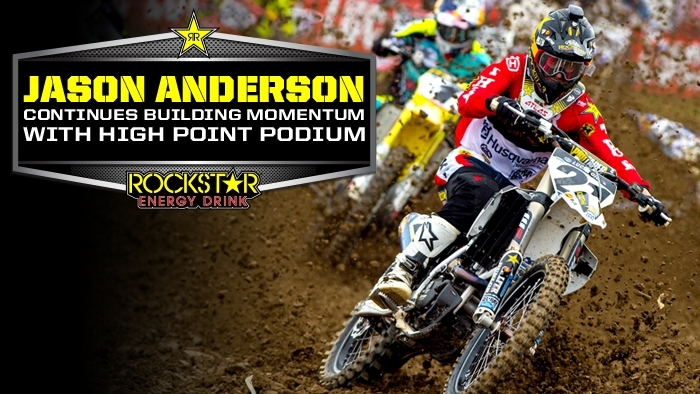 Jason Anderson: "I'm hoping to keep these podiums going! I for sure need to improve on my starts just to get with those top two guys right away and kind of put a tow rope on and start riding with them to learn their pace. I ride with them during the week but when you're racing it's much different. I felt like I was all alone out there in the 2nd moto in 3rd. When you're riding by yourself you feel like you're going fast but when you can see someone doing different stuff in front, you can definitely learn from them. In the first moto when I was behind Christophe [Pourcel], I learned a couple lines that certainly helped me. Stuff like that is why I just need to get out there with them and learn."